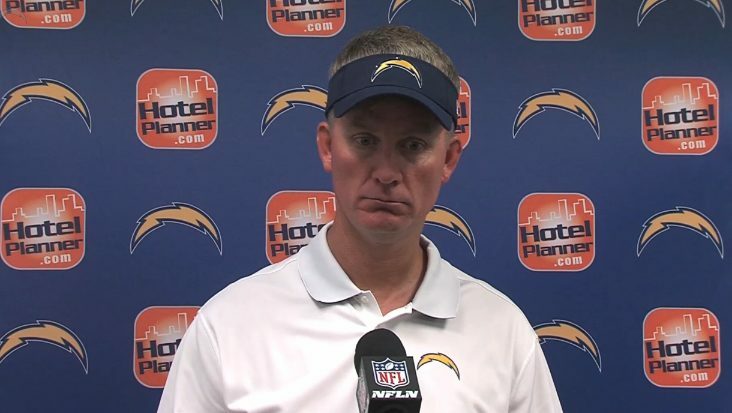 Chargers head coach Mike McCoy in his post-game press conference after the Chargers lost to the dolphins 37-0. Courtesy of Chargers.com multimedia. The San Diego Chargers were defeated 37-0 by the Miami Dolphins Sunday at Sun Life Stadium in Miami. It was the first time the Chargers have been shutout since they were beaten 34-0 by the Kansas City Chiefs on Oct. 31, 1999, and was the third game in a row that the Chargers have lost this season. Philip Rivers threw a season-high three interceptions, and had a fumble, while going 12-23 with a season-low 138 yards. He was replaced by backup Kellen Clemens during the fourth quarter. Not only did Rivers struggle, but rookie Branden Oliver also had another rough outing, rushing for 19 yards on 13 carries. Donald Brown was the team’s leading rusher with 23 yards on four carries. It wasn’t all on Rivers and the offense though, as the defense allowed a season-high amount of points (37), total yards (441), and first-downs (28). Miami quarterback Ryan Tannehill led his team 77 yards in 10 plays for a touchdown in the Dolphins first possession of the game, and they would not look back after that, as it took seven possessions before the Dolphins were forced to punt. The Chargers head into their bye week (5-4, 1-2) after starting the season 5-1. They come back home on Nov. 16 to play the Oakland Raiders (0-8, 0-3) at 4:05 p.m. PT.